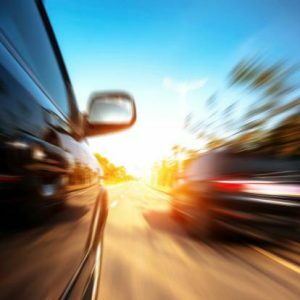 This past year has witnessed an unprecedented number of automobiles recalled or investigated due to dangerous malfunctions or flaws. At the top of the list is General Motors, with its flawed ignition switch: the manufacturer knew of the problem for a decade before it issued a recall over a defect that may have claimed hundreds of lives and caused many other debilitating injuries. Hundreds, if not thousands, of people across the country are fighting back against negligent car companies who put profit over safety by filing vehicle recall lawsuits. If you have suffered losses, including serious injuries or the tragic loss a loved one, because of an auto defect or recalled vehicle, Ellis Law invites you to contact one of our auto recall lawyers for a no-cost, no-obligation evaluation of your legal options. The General Motors ignition switch flaw concerns a switch than can shut off suddenly even if jostled only very slightly. Drivers who became involved accidents after their GM vehicle suddenly shut down were also without the protection of their airbags, which did not deploy after the shut down. GM appears to have known about the flaw for some time without taking measures that would protect its customers; GM recall lawyers representing victims argue that the company approved the switch even with evidence of its flaws. A recall was only issued in February and has grown to include approximately 2.6 million vehicles. The company has set up a settlement program to cope with many claims of injuries and fatalities. It processed its first claims on August 1, and will remain open until the end of the year. Thus far, GM reports that they have received 125 claims of fatalities; at least 19 of these will receive a settlement, while the rest of the claims are still being evaluated. Additional figures released show that 445 claims have been made in total thus far. Twelve of the injury claims will receive a settlement, with the rest still up for consideration. The company has set aside between $400 and 600 million dollars for ignition switch recall settlements. Others have chosen to file product liability lawsuits against the company; thus far, they include two major class action lawsuits and a single lawsuit filed on behalf of 658 plaintiffs in July in the U.S. District Court in Manhattan. 29,500 recalled Fiat 500L compact cars for an improperly working knee air bag. There are no known injuries thus far. The NHTSA opened an investigation into Ford Fiesta 2011-2013 models after receiving 61 complaints of doors that do not latch properly. One injury has been reported; no formal recall has been issued as of yet. A huge recall affecting 14 million vehicles has been issued by 11 auto manufacturers, all of whom were supplied by Takata with faulty air bags. The air bags have been known to explode, spraying drivers with shrapnel or chemicals, and causing at least 139 injuries. Two deaths and more than 30 injuries have been reported in connection with Honda automobiles alone. Critics accuse Takata and Honda of being slow to respond to the problem. Chrysler has issued a recall of 188,723 2011 Dodge Durango and Jeep Grand Cherokee SUVs due to the possibility that the cars can “stall without warning.” No injuries or accidents have been reported. 3,196 Chevrolet Express and GMC Savana CNG vans, models from 2011 to 2014, have been recalled because of possible leaks. If you have sustained injury or suffered losses due to any of these auto defects, contact the product liability attorneys at Ellis Law for a free consultation. We advise you to contact an attorney as soon as possible so as not to disqualify yourself from potential settlements. Please contact us at 310-641-3335 to clarify your next step.